OPTIBALANCE® is our combination of nutrients. 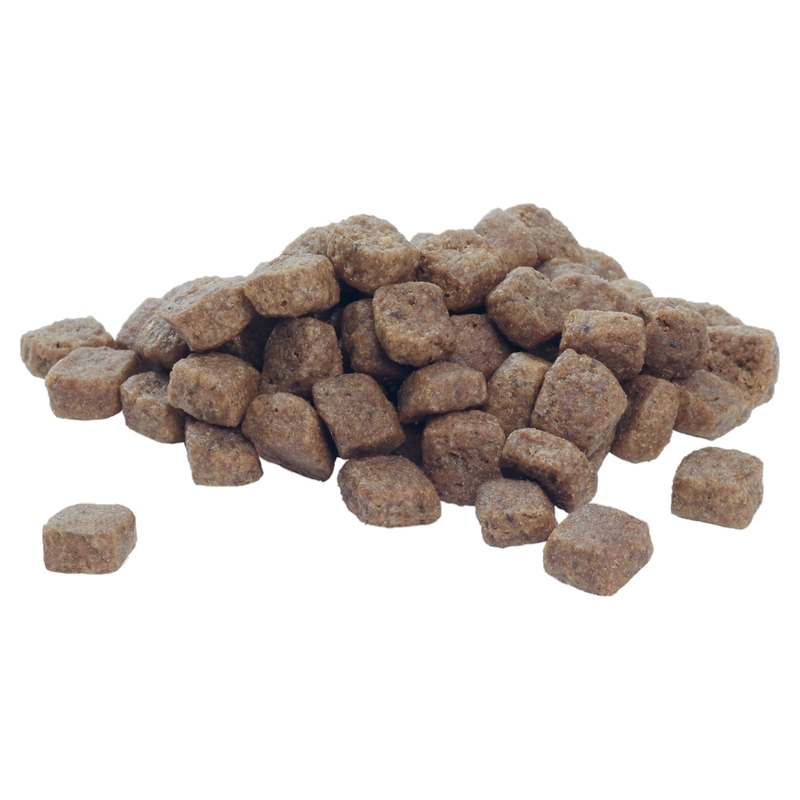 This dry complete dog food has been specially formulated in a more effective way for dogs to absorb the nutrients they need from their dry food. PURINA® PRO PLAN® with OPTIBALANCE® is a combination of specifically selected ingredients, nutrients at appropriate levels for dogs of different sizes and physiques. This formula has been designed just for the needs of small and mini adult dogs. This complete dry dog food for small and mini adult dogs includes a combination of key nutrients that helps support healthy joints for their active lifestyle. The specifically adapted nutrient concentration also supports the faster metabolism of small dogs. Our recipe has been specially formulated to help them maintain a healthy heart as well as aid dental care by reducing tartar accumulation by 36%. Composition: Chicken (20%), Wheat, Dehydrated poultry protein, Maize, Rice (7%), Animal fat, Soya meal, Dried beet pulp, Maize gluten meal, Wheat gluten meal, Minerals, Dried egg, Fish oil, Digest, Yeast. mg/kg: Vit. C : 140; Ferrous sulphate monohydrate: 230; Calcium iodate anhydrous: 3.0; Cupric sulphate pentahydrate: 47; Manganous sulphate monohydrate: 110; Zinc sulphate monohydrate: 400;Sodium selenite: 0.28. Technological additives: Tocopherol extracts from vegetable oils: 48mg/kg. 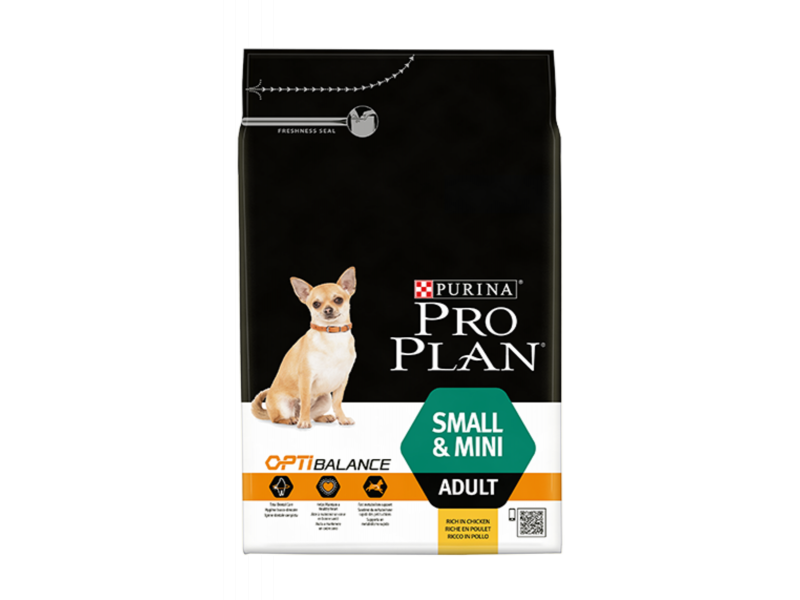 There are currently no questions for Purina Pro Plan Small & Mini Adult with OPTIBALANCE Chicken Dog Food - be the first to ask one!